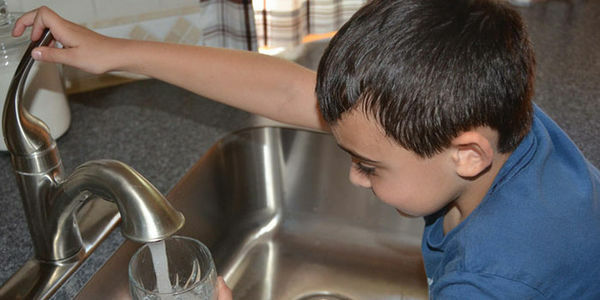 Earlier this year, the Union of Concerned Scientists joined advocates throughout the country to stop the Trump administration from covering up of a study showing the health risks of toxic chemicals in our water. Once the report was released, it shined a bright light on the hard truth that the US public deserves to know: we have a public health disaster on our hands. Commonly used in products from cleaning products to fire-fighting foams, the chemicals known as "PFAS" have serious health impacts, such as asthma and liver damage. The contamination from these chemicals is so dangerous and pervasive that a bipartisan group of legislators in Congress is demanding that the Environmental Protection Agency (EPA) explain the depth of the problem and how they'll fix it. We're talking more than two-thirds of the military sites tested for contamination having toxic levels of these chemicals more than 100 times higher than government reports suggests are safe. The truth is out. The attention is high. And the pressure is building. Policymakers and the public alike are demanding an explanation. Now is the time to push for real action by the EPA and Department of Defense (DOD) to do something: Urge the EPA to set strong science-based standards and work with the DOD to create a robust, nationwide plan to clean-up toxic water. I am writing to call on the Environmental Protection Agency (EPA) to set an enforceable standard for PFAS (per- and polyfluoroalkyl substances) contamination in drinking water, and to coordinate with the Department of Defense to develop a robust plan for cleaning up contaminated sites. I am aware of the Health and Human Services report that shows that health effects from PFAS water contamination can arise at exposure levels 7 to 10 times lower than the EPA&apos;s current drinking water health advisory suggests. I am also aware that the Department of Defense has publicly acknowledged a need to expand its clean-up efforts and would benefit from stronger standards to help guide where to focus. The longer these dangerous chemicals go without enforceable, science-based limits or are left in the environment without being cleaned up, the higher the cost we face to our public health and safety. The EPA has a legally mandated responsibility under the Safe Drinking Water Act to address contaminants that may have an adverse effect on public health. I look forward to seeing the EPA fulfill its mandate and set stronger science-based standards for PFAS and a plan for enforcement.